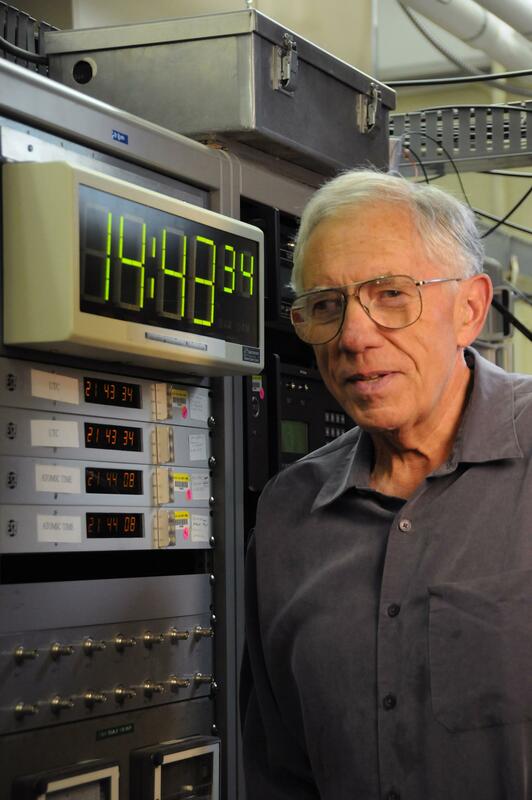 For more than a decade, the National Institute of Standards and Technology (NIST) has been unveiling experimental next-generation atomic clocks. These clocks, based on ytterbium, strontium, aluminum, and hmercury atoms, among others, have set records for precision and stability. But, so what? It's all part of NIST's continual effort to improve its ability to maintain and disseminate official U.S. civilian time. A practical question has been when such experimental clocks could begin to be used to support official timekeeping. New NIST simulations suggest these clocks may now be reliable and practical enough to start contributing to calibrations that support official U.S. civilian time. Currently, cesium fountain clocks NIST-F1 and NIST-F2 are operated for about one week each month to calibrate NIST time scales , arrays of hydrogen masers–microwave versions of lasers–maintaining official U.S. civilian time for distribution to financial markets and millions of other users around the world. Without such calibrations, official time drifts a bit. Next-generation clocks operate at optical frequencies, much higher than the microwave frequencies of cesium clocks. Optical clocks are complex physics laboratory setups and typically run only intermittently. "In principle, the optical clock should be the best frequency reference in the building," said Chris Oates, chief of NIST's Time and Frequency Division. "These clocks are getting more reliable, more robust all the time. There have been experiments where they run these things for days." "We wanted to answer the question, 'Is it worth it right now spending some effort in trying to compare our existing optical clocks to the time scale?' This paper confirmed that it makes sense to perform a first evaluation." Indeed, similar first demonstrations are underway at other National Metrological Institutes around the world. In such demonstrations, optical clocks are not generating or keeping official time–rather, they provide extremely stable (intermittent) frequency references that support time generation. The NIST simulations found that to achieve the same performance as a cesium-fountain-calibrated time scale, NIST would need to run an optical clock for 12 minutes every 12 hours, or 1 hour per day, or 4 hours every 2 and 1/3 days, or 12 hours per week. Among other benefits, such calibrations could reduce the error in official time to just 2 nanoseconds (ns), better than current offsets in NIST official time. Because any timing error gets progressively worse, the study suggests running an optical clock 4 hours at a time at least 3 times a week. NIST is already using optical clocks to monitor masers in the time scale. The plan now is to build a system to use optical clock results to create a "paper time scale" and accumulate data on how it compares to the real thing. In principle, any time and frequency input can be used to calibrate the time scale; more accurate inputs are given more weight. The expectation is that optical clocks will prove useful for real calibrations even with their modest availability, as they could provide good support while running less often than cesium clocks. To make the process easier, NIST could operate multiple optical clocks and switch between them for calibration purposes. By running different optical clocks in different time slots, NIST could distribute the workload to different labs and staff. The NIST simulation study found that various types of optical clocks could be used to calibrate the time scale. That's because most of these clocks have higher stability and lower uncertainty than the time scale, so any uncertainty in estimates of the frequency sources that support official time would be due mainly to the stability limitations of the time scale. Further, NIST official time cannot be more accurate than international standards, so for now there is no pressing need to improve on the time scale. That could soon change, however. These studies may be helpful in a future redefinition of the International System of Units (SI). The standard unit of time, the second, has been based on properties of the cesium atom since 1967. In the coming years, the international scientific community is expected to redefine the second, selecting a new atom as the basis for standard atomic clocks and official timekeeping.